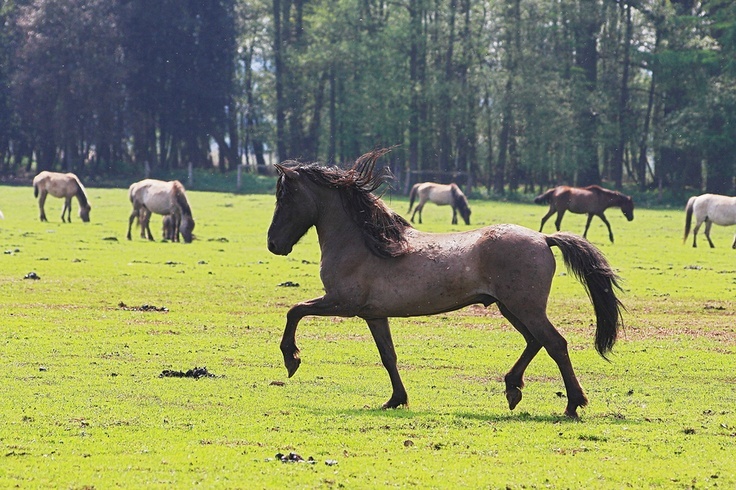 The Dulmen Pony is a rare horse breed and perhaps the only native pony breed existing in Germany. 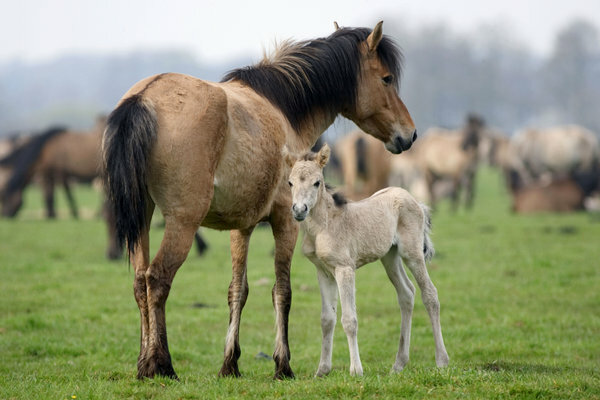 Also known by the name of Duelmener wild horses, they are not “wild” in actuality, as claimed by certain zoologists because of the marks of domestication visible on them. Their gentle disposition makes them easily adaptable to a domesticated lifestyle. 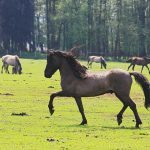 Physical Characteristics Apart from a primitive look they also have strong, sloping muscular hindquarters, medium-sized head, small ears, small, hard, rounded hooves, fetlocks not prominent and hairy, and a full mane as well as a tail. 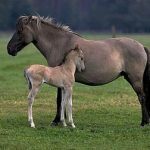 This breed is said to be the inhabitants of Germany’s Dulmen region, where they were found at the beginning of the 14th century. 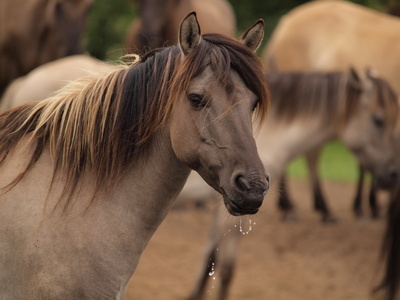 Although wild horses were subjected to persecution then, the Lord of Dulmen had attained the rights for providing shelter to this breed. Certain characteristics inherent in them suggest these breeds be of a primitive origin. 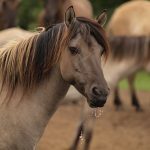 In fact, Bonnie Hendricks, in her book, “The International Encyclopedia of Horse Breeds”, suggests it to be a descendant of the wild Tarpan horse. However, sufficient evidence has not been provided about the same. 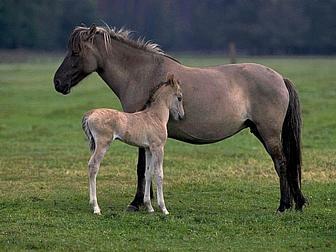 They went on to lead a feral life till the late 19th century, dwelling in the Westphalia region of Germany. 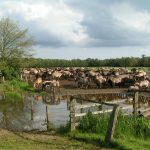 However, they suffered from a loss of habitat as the land got divided. Therefore the Dukes of Croy moved them from there and shifted them to the Merfelder Bruch, which became their new dwelling. 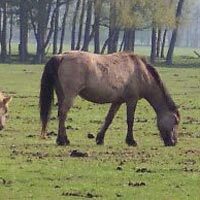 The vast stretch of land contained everything from pastures to watering holes which the ponies required for surviving on their own. In fact, at present, there is only a single herd of wild ponies owned by the Dukes of Croy, who were instrumental in taking initiatives for its preservation in the 19th century. 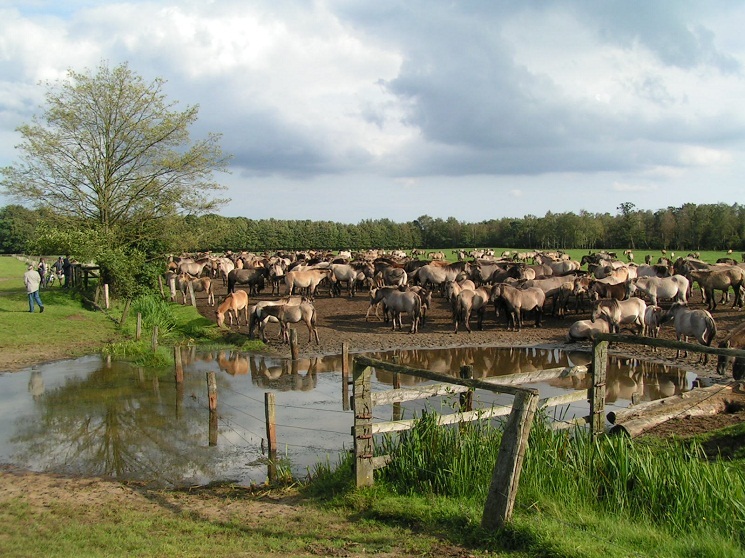 At present approximately 300 Dulmen Ponies thrive in the Merfelder Burch which is opened for public visit between early spring and late fall. They are left all by themselves to search their food and shelter, also coping with any illness and also death. Thus, only those that are high on endurance and have developed a strong resistance to disease manage to survive at the end. 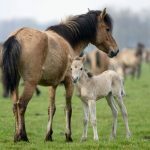 Every year on the last Saturday of May, these ponies are rounded off, with the foals being auctioned publicly while the mares are allowed to return to their habitat along with either one or two stallions.